Numerous herbs may be helpful for arthritis, sciatica and back pain. Back pain, one of the most common health complaints among Americans, has many possible causes, including osteoarthritis, or degenerative joint disease. Sciatica is pain, and possibly numbness and tingling, that travels through your buttock and down the back of your leg. Sciatica can be caused by numerous problems, including a herniated lumbar disc, spinal stenosis, degenerative disc disease, fracture, infection and trauma. Before taking herbs to help treat your musculoskeletal problems, talk with your doctor about possible side effects, proper dosage and potential drug interactions. Devil's claw is an herb that may be helpful in treating your arthritis, sciatica and back pain. According to the University of Maryland Medical Center, devil's claw, also known as harpagophytum procumbens, is a shrub native to southern Africa that has lush foliage and red flowers. Devil's claw, a member of the pedaliaceae family, has a bitter taste. The secondary storage roots of the plant are used medicinally to help treat numerous musculoskeletal problems. Dr. Sharol Tilgner, a naturopathic physician and author of the book "Herbal Medicine From the Heart of the Earth," states that devil's claw is an anti-inflammatory, anti-arthritic and analgesic. Tilgner notes that devil's claw has been used to treat arthritis, nerve pain, back pain, bursitis and headaches. Before taking devil's claw, discuss side effects, dosage and potential drug interactions with your doctor. 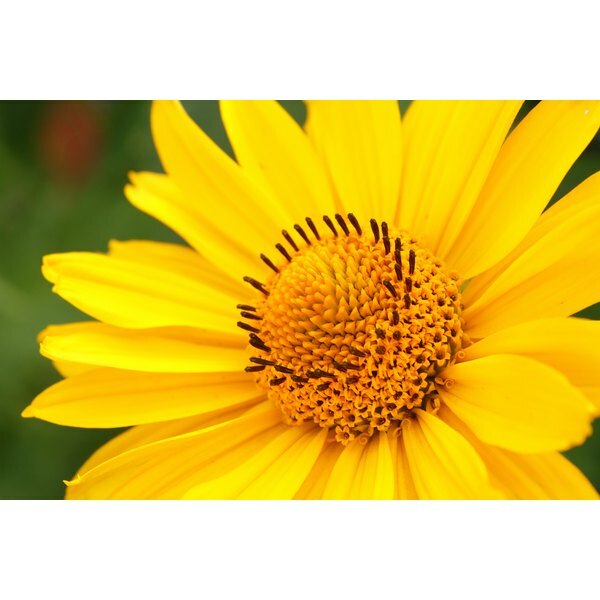 Arnica is an herb that may be beneficial in treating arthritis, sciatica and back pain. The Memorial Sloan-Kettering Cancer Center states that arnica, also known as arnica montana or mountain tobacco, is derived from the flowers and rhizome, or underground stem, of the plant. Arnica, a member of the aster family, has a light and flowery taste. According to Tilgner, arnica is an anti-inflammatory, analgesic, topical counterirritant and anti-phlogistic -- a substance that reduces inflammation. Tilgner states that arnica is used externally to treat numerous musculoskeletal problems, including sprains, strains, bruises, arthritis and sore muscles. Due to its anti-inflammatory and analgesic properties, arnica may also be helpful in reducing symptoms associated with your sciatica. Before taking arnica to help treat your arthritis, sciatica and back pain, consult with your physician. St. John's wort is an herb that may treat your arthritis, sciatica and back pain. According to the National Center for Complementary and Alternative Medicine, St. John's wort, also known as hypericum perforatum, is a shrubby plant bearing clusters of yellow flowers. St. John's wort, which has a sweet and bitter taste, is native to Europe, parts of Asia and Africa and the western United States. Tilgner states that St. John's wort is an anti-inflammatory, sedative and nervine, or a substance that calms your nerves. This herb, notes Tilgner, helps relieve pain associated with nerve pain, along with numbness, tingling and burning -- symptoms commonly associated with sciatica. Due to its anti-inflammatory properties, St. John's wort may also be helpful in treating your arthritis. Meet with your doctor before taking St. John's wort to help treat your arthritis, sciatica and nerve pain. National Institute of Neurological Disorders and Stroke: What is Back Pain?